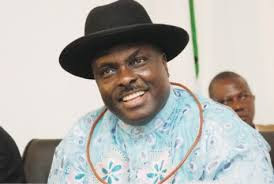 A former Delta State governor, James Ibori, who was convicted of money laundering in the United Kingdom, said on Sunday, that he was not a thief. The former governor spoke in public for the first time since his return from the United Kingdom where he served a 13-year jail term for money laundering. Ibori spoke at a thanksgiving service organised in his honour by the people of Oghara Kingdom at the First Baptist Church, Oghara in Delta State. Ibori, dressed in Urhobo traditional attire, flanked by his elder sister, Mrs. Christine Ibori-Ibie and daughter, Erhiatake, arrived the venue of the thanksgiving at about 10.30am after the praise and worship service had commenced. Addressing the congregation, Ibori said, “Today, I have decided to speak for myself, I am not a thief. I cannot be a thief. Today is the day they say I should give testimony to God. For those that know me, you know that my entire life is a testimony itself and I have said it over and over again that my life is fashioned by God, directed by God, sealed, acknowledged and blessed by God and I believe that since the day I was born. “Like Archbishop Avwomakpa said, when this whole commotion started, what was most painful to me was the pain and suffering that my people were going through. What I went through has nothing to do with me as a person because for some reasons, like I said to you, I drew my strength from God and somehow, I knew that God would stand by me. “If I am to give testimony of my journey you will not leave here. The only testimony that I have is the fact that I am back and alive in your midst. And again, I say that I never had any doubt in my mind that I would get back home. When I looked at how things were going, I discovered that they wanted to separate me from you people. They wanted me to go to the corner where I won’t be seen. Earlier in his message tagged, ‘Knowing the gift of God,’ the South-South Chairman of the Christian Association of Nigeria, Archbishop Goddowell Avwomakpa, said a man carrying the gift of God was the one sent to bring joy to his people. He added that Ibori was a gift to the Urhobo people irrespective of what he had passed through. Avwomakpa stated that the people of the state were happy to have had Ibori back in good health. In his brief remark, the traditional ruler of Oghara Kingdom, HRM Orefe III, said the thanksgiving was held to celebrate Ibori who had returned from the UK alive and in good health. The monarch said, “What we are witnessing today started since last year when we heard that our son would soon be freed. Oghara is blessed with a big son in whom we are well pleased. Our son has put Oghara on the world map. We lost our son at a point but we are happy that he has returned and we are rejoicing. One of Ibori’s loyalists, Olorogun Abu, said, “We are thanking God with Chief James Ibori because as the executive governor of Delta State he initiated and inaugurated a lot of laudable projects and programmes that had direct bearing on the lives of the majority of Deltans positively. “Yes, it’s true he also made a few mistakes as a human being but he ‘sinned’ because he bravely spearheaded and championed the resource control advocacy to the chagrin of some big toes that hitherto were beneficiaries of the deplorable exploitation of the Niger Delta. “The truth is when a leader truly affects the lives of majority of his people, they tend to ignore his weakness and errors. There are so many ex-governors whom if faced with the same travails faced by Ibori, they won’t get the same support Ibori is enjoying from Deltans today. “Ibori’s natural charisma cannot be taken away from him as witnessed by the tumultuous welcome that ushered him back home. It is high time Deltans far and wide put behind their differences and rally around the Ibori Resource Control Brand to ameliorate their sufferings and get a better deal,” Abu urged. The thanksgiving, which was attended by politicians including a former Delta State governor, Emmanuel Uduaghan, a former Police Affairs Minister and his wife, Alaowie and Mrs. Broderick Bozimo, Ibori’s former deputy, Chief Benjamin Elue, Senator Emmanuel Aguariavwodo, Mr. Ovuozourie Macaulay and Olorogun Paul Abu, was held under tight security.